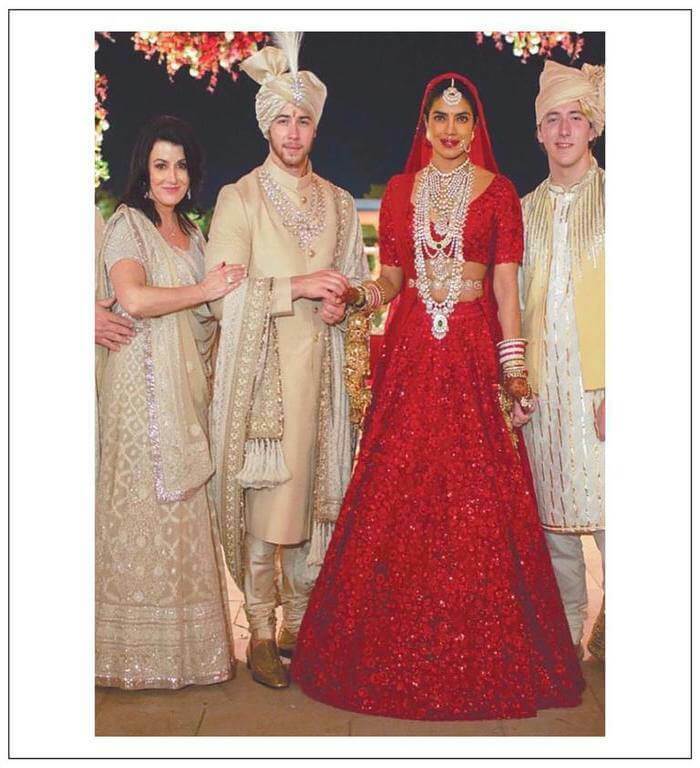 Newly Married Nick Jonas and Priyanka Chopra hosted their wedding reception in New Delhi. The main guest who took all the spotlight at the celebration evening was Prime Minister Narendra Modi. The PM traveled to The Taj Palace hotel in New Delhi to praise the newlyweds. Later, the Couples thanked him for his warm wishes. 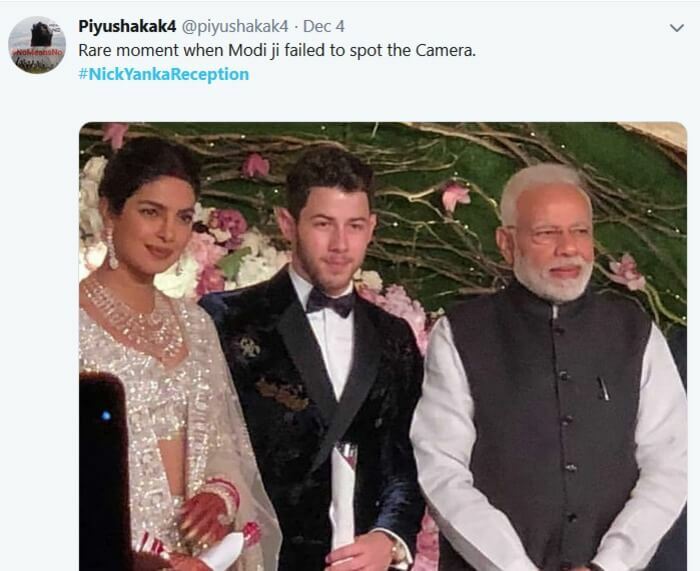 Nickyanka tied the knot on December 1 and 2 accompanying the Hindu and the Christian traditions, respectively. The Grand wedding took place at Jodhpur’s Umaid Bhawan in the existence of close family members and friends. As the Prime Minister met Nick and Priyanka, he gifted them a beautiful red rose. He gave the same gift to Anushka Sharma and Virat Kohli on their wedding reception last year. In a short clip that has spread on social media, the Global icon Priyanka is seen introducing husband Nick and his family to Narendra Modi. 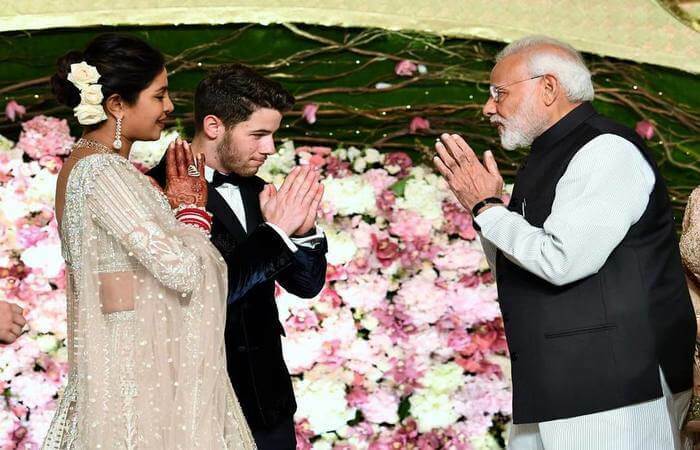 Modi Ji Congratulated Nick Jonas And Priyanka Chopra at their wedding reception. Nickyanka looked captivating as they posed for photographers before encountering the guests at the reception party. Priyanka put on a traditional red color lehenga and Nick elected for a black suit for the evening. 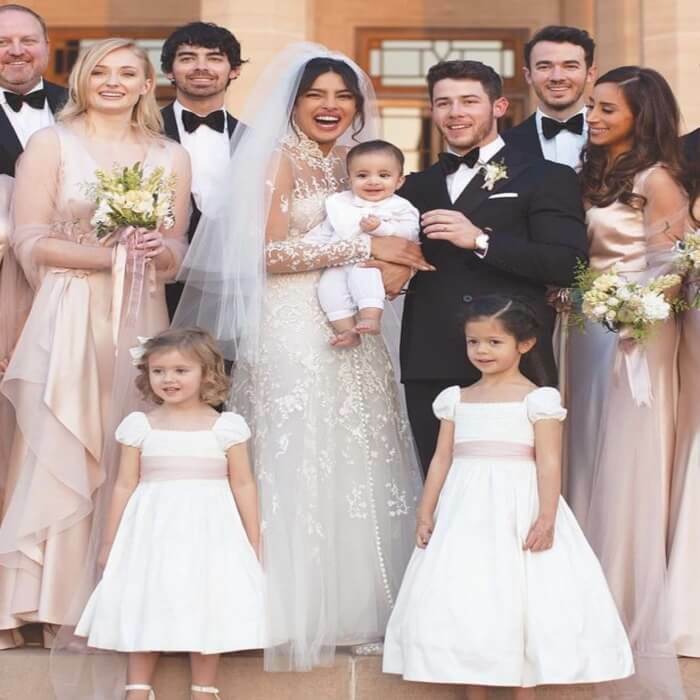 They also posed with their close family members including Nick‘s parents Denise Jonas and Paul Jonas along with Priyanka‘s mother Madhu Chopra their wedding celebration. The photos of the couple were going viral but as soon as PM arrived, it was all about Pm on the social media. From the videos and photos of him laughing with Prick to having communication with them, fans loved to see and share everything with their followers and friends. 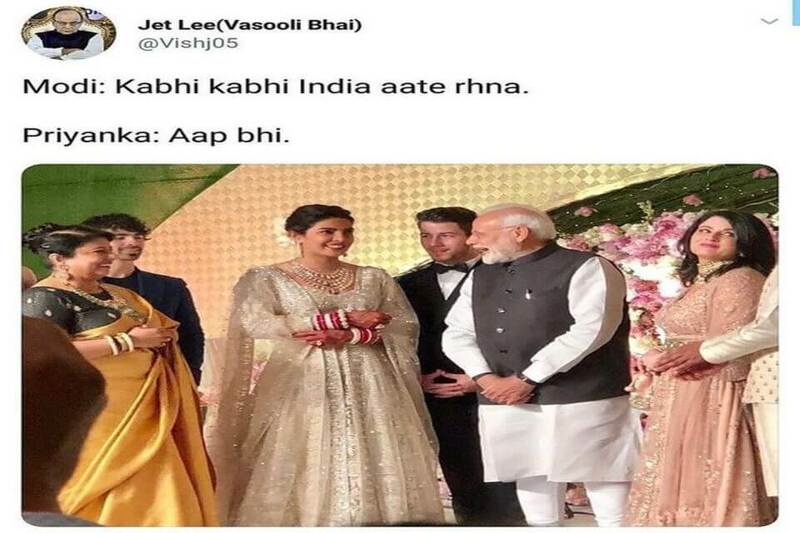 And soon after watching the pictures and videos of Pm with the newlywed couples, the internet went crazy and now it became the trending meme topic on the social media. with hilarious memes which people had made after watching PM attending Prick’s reception. Nick : where shall we go for honeymoon? Modi : Aur Priyanka Ji, asthma theek hai aapka? Nick Jonas : Hain? 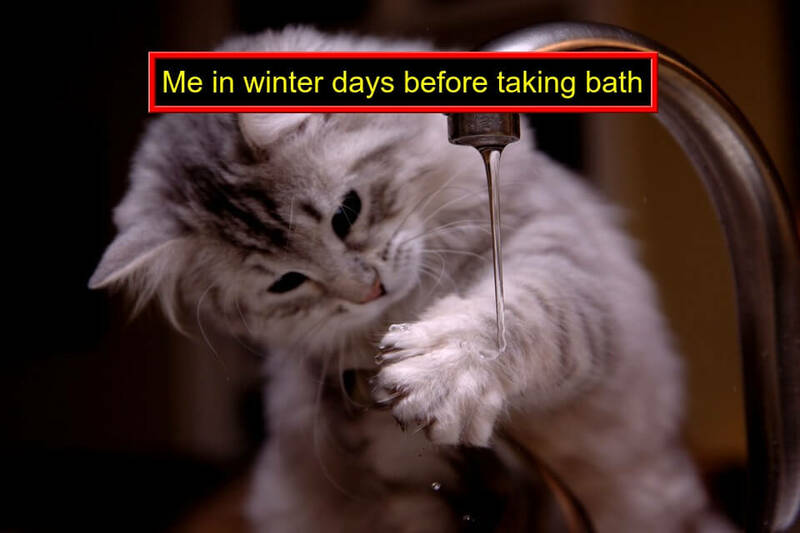 Isko asthma hai? 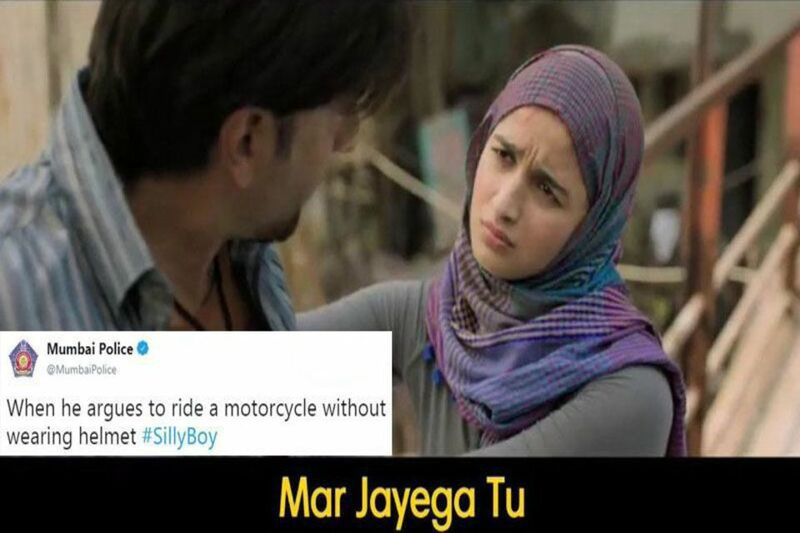 Mujhe kaise nahi pata? Dying to know what they are laughing about! Also, @nickjonas , it is gonna be okay. Yes, your wife KNOWS the prime minister. Nick- arey aap to PM hai na apko to baht kaam rhta hoga.. To fir yaha kaise?? Next articleScience Says This Drink May Crown The Healthiest Drink and Here’s Why!